Thousands have bought the Jora Compost Tumbler all around the world. The Jora Compost tumbler is a rotating, heat generating, insulated composter for convenient and simple use all year round. With this Compost tumbler you can compost cooked and uncooked food waste quickly and hygienically. You can even compost Meat with bones, Citrus Fruit with Rinds and all other waste like vegetables, poultry, fish, napkins, tea and coffee with filter and of course all your Garden Waste! All in just 4 - 6 weeks! The Jora Composters is made with high-quality Galvanized steel and recyclable materials designed and produced to withstand all weather types. The combination of fast a composter, durable design and smart dual chamber property allows you to have an easy, successful composting experience! 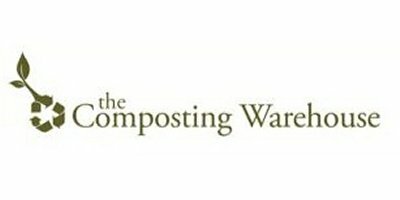 Since 1990, The Composting Warehouse has developed and marketed compost machines for local composting of domestic waste. Our clients are primarily tenant-owner's associations, housing firms, building companies, schools and institutional kitchens. At present The Composting Warehouse has delivered more than 650 automatic compost machines. The Composting Warehouse is a company with extensive experience in the field of composting domestic waste. We have been cooperating with The Swedish Environmental Protection Agency (Naturvårdsverket) in composting projects, where several hundreds of households have been participating. The Swedish University of Agricultural Sciences (Statens Lantbruksuniversitet) has been doing analyses and cultivation experiments of the resulting compost. Our mission is to develop environmental products that make it easier for you to live with awareness and respect for the natural environment. The idea of recycling pervades the entire company. The Composting Warehouse is a company under constant development. It all began in 1990 with our rotating compost bin for single-family households. Our fully automatic large compost machines have a capacity of up to 100 households. The large compost machines are equipped with a shredder, which is necessary for effective and rational composting. The system consists of two chambers which let the post-composting take place inside the bin, which in turn means that the compost mould is ready to be used immediately after emptying and is therefore an attractive product for the end-users. JK 5100 – is a new generation of compost machines for multi-family households, institutional kitchens and schools. The compost vessels are made by 100% recycled household plastic. Our products stand in comparison at all levels; convenience, quality and service. By composting your domestic waste in your neighborhood, you will reduce the weight of your waste up to 50 %.